I’m writing this mini-challenge as part of the Biannual Blogathon Bash, a twice a year event where bloggers focus on working on their sites. I decided to write about hosting giveaway hops since its something I enjoy doing and have done many times. I hosted my very first giveaway hop in December 2010, The Holiday Gift Giveaway Hop, where over 200 blogs participated. Since then, I’ve run a number of hops- some sponsored, others not and have learned what works and what doesn’t work. Today I will share with you some tips on how you can organize and run your own giveaway hop! 1. Theme: The first step is to decide on a theme (if any) for your hop. Some ideas are to base it around a holiday (ie. Father’s Day, Halloween), event (Back to School, Birthday), category (ie. Gadgets, Gift Cards), or eligibility (ie. Canada giveaways, International giveaways). You will ask participants to have prizes for their giveaways that fit the theme of the hop. 2. Dates: The next step is to figure out when the hop will run and for what length of time which are usually anywhere from 5 to 14 days. There’s so many events out there now that it is hard to not overlap with someone else’s event. I try to not plan for mine to be at the same time as someone else’s hop, but it sometimes cannot be avoided. 3. Button: Make a button or hire someone to make you one for your event. Do this before you put up your post for sign ups. I’ve hired MamaNYC and Just Married with Graphics in the past to make my buttons. 4. Minimum Prize Value: This is the minimum value that the bloggers must have for their individual giveaways. I’ve seen them anywhere from $15 to $100 minimum prize value. It really depends on the theme of the hop so use your best judgment. I usually keep mine either $15 to $25 to make it easier for bloggers to participate. 5. Co-host (optional): Find a fellow blogger that you know and trust to help you plan and run the giveaway hop. Make sure you know them well though and how they work because you don’t want to be stuck doing all the work and them taking the credit. 6. Create a Google Form and/or Linky: Bloggers will need to sign up to join the hop and you will need their email to send them all the details of the hop. I normally do BOTH the Google Form and the Linky in my sign up post. I ask bloggers to first fill out the form and then add themselves to the linky. This saves me from having to create the linky at a later date. However, be aware that people do not always follow directions. Some bloggers will just add their link to the linky and NOT fill out the form and vice versa. I have to cross reference and make sure everyone who is in the form is also on the linky. Some linky services are Linky Tools (paid), Simply Linked, Misterlinky (paid) and InLinkz. I use Linky Tools. 7. Grand Prize (optional): Some giveaway hops have a grand prize on the host blogs that is sponsored by a company. If you do plan on finding a sponsor for the giveaway hop, I would suggest asking for payment from the sponsor. They will be getting lots of promotion by you and the participating bloggers sending traffic to enter the grand prize giveaway. 1. Post Sign-ups for Bloggers: I post on my blog, Facebook, Twitter and also sent out an email blast to bloggers subscribed to my Events Newsletter. Share in your Facebook groups (make sure to ask the admins for permission first though!). Requirements*: I wanted to discuss a little about requirements for bloggers to join the hop. I myself prefer FREE & no strings attached for blogs to join my hops. Some hops require participants to post about the sign-ups or put the event button on their sidebar. Personally I will not join events that require this (and I know other bloggers who think the same way as me) so if you do go that route, please understand that some blogs will not join. Also, some hops also have an admin fee to join. However, I’ve been noticing less hops that have a fee compared to this time last year so the trend seems to be going towards free hop. Blogger Incentive**: To encourage other bloggers to spread the word about the hop, some organizers will offer a blogger incentive prize to the blogger who refers the most people to join the hop. The prize is usually something like $20 to $25 Paypal. I notice that when people do offer some kind of blogger incentive that many blogs will promote it and will ask others to join and say they sent them. 2. List the Giveaway Hop on Other Sites: Some sites will post about your event for free. You can list your giveaway in my Events Directory for free. Other bloggers with similar services include Sunshine and Sippy Cups Weekly Bloggertunities and Giveaway Promote (paid or barter option). 1. Email Participants: About a week prior to the start of the giveaway hop, you will want to email all the participants. In the email include a sample post (especially if it is a sponsored giveaway hop so they can mention the grand prize & sponsor), links to the hosts, linky code, button (attach to the email though so no one hotlinks from your site), and event hashtag. Remind them again of the dates of the hop and what time their post should be up. I normally start mine at midnight EST. I would also recommend telling them that you will be removing blogs who have not posted their giveaway by a certain time. I tell my participants I remove links starting at noon EST the following day. Mention for them to include who can enter in the giveaway (ie. US, Canada or worldwide). It is frustrating for people and you as the host to not know who can enter the giveaway. I also tell them to include the value of the giveaway if it is over $100 in the title of their giveaway and I will add that info to the linky. 1. Be Available: Make sure you are home the night the hop starts and expect a long night. There’s always last minute questions from people so you want to make sure you are around to answer them. 2. Update the Linky: As soon as the hop starts, I go visit all the blogs on the linky and update it with their direct link. This makes it SO MUCH easier for participants to enter the giveaway. I know myself, I will not search a blog to find a giveaway and I’m sure others won’t either. I also include the prize value if it is over $100 and listed in the title. ****Very Important**** Include eligibility in the title PLEASE! Let people know it’s US only or Canada only so they don’t waste their time! I’m Canadian so it’s very annoying to find a hop that doesn’t say who can enter in the linky. Who has time to scan 100+ posts? Not me. I have also started putting “No Giveaway” beside blogs that haven’t posted their giveaway when I check them after midnight EST the night of the launch. 1 Update the linky: Again you are back to updating the linky. I find that many blogs will have their giveaways posted by morning so I update the linky with the direct link and pertinent info and remove the “No Giveaway” from their listing. At noon EST, I clean up the linky deleting blogs who have not posted. 1. Enter the giveaways in the hop: This supports the bloggers who have joined and their sponsors. 2. Tweet: I tweet every giveaway in my hop daily as long as they have a tweet entry in their giveaway or on their post. 3. Facebook: Select one or two giveaways in the hop at random and promote it via your Facebook page. 4. Newsletter (optional): For my last hop, I sent out a dedicated email newsletter to my weekly giveaway subscribers showcasing all the giveaways in my hop. I separated them by who can enter ie: Worldwide, US & Canada, Canada, etc. The next giveaway hop I’ve got on the agenda is the Global Giveaway Hop. You are more than welcome to join if you wish! Mini Challenge – Plan your own Giveaway Hop! The first step is the most important one. Plan your hop and figure out all the details. Your hop is more likely to be successful if it is well planned and organized. Leave me a link in the comments to your sign up post OR tell me the details of your hop if you haven’t put up the sign up post yet. 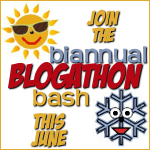 Pingback: biannual blogathon bash 2012 | are you working on your blog? Could you explain what this means a little more: button (attach to the email though so no one hotlinks from your site? Thank you. If someone copies and pastes an image directly from your site and puts it on their own site, they are stealing your bandwith. What they need to do is first download the image to their computer then upload to their site so that they are hosting it. http://ajewelinthemaking.com/2012/06/amazingly-amazon-giveaway-hop-sign-ups-open.html I had this already up but since it is my first hosted giveaway I was happy to see this challenge. It has given me great ideas and I will be referring back to this post in the future. Thank you so much. I tried hosting a big giveaway event last year and failed! Ok not really, I did have some success, but not like I had first envisioned. I may try again next year, but I’ve got too much else going on this year to put something like this together. Great tips though! I always feel more enlightened about blogging when I visit here. Thanks Adelina!! Let me know when you do another one. Thanks for such an informative post. I’ve been thinking about hosting my own hop in August or September when I relaunch my business and this really helped a lot. I’ll be bookmarking it so I can start getting organized. I have something in the works! I’ve had it in my head for awhile, but thanks to this awesome check-list, I have my ideas organized and on paper. I don’t want to post about it, though, until I’m *more* organized. I also want to run it by my networking group and a) Make sure there isn’t a time conflict with one of our group giveaways and b) Make sure there’s interest. Shhhh! Don’t tell anyone! lol. p.s. I’m officially signed up for Linky Tools! ♥ And I have the Giveaway directories bookmarked. 😀 Thanks SO much!!! I have a question. I’ve participated in hops before but I’ve never hosted one before. My question is how much time should be between announcing the hop and actually doing it? I’ve seen blogs put up their we’re hosting this hop, 4 months before the hop is to take place. So how much time between is ideal? I think anywhere from 2 to 3 months prior is fine. This is my second. The first one was pretty successful! I haven’t set up a page yet, but I’m in the works of doing a hop to bring awareness to self-harm! I’ve made a list of organizations to contact to see if they would like to sponsor things or be affiliated. I am planning on hosting it in November, because there is a “self harm awareness day” then. I’m hoping to open it up for many niches. Guess we’ll see! Wow! You never do realize (even as a blogger) how much works goes into a hop! Unfortunately, I do not have time right now, but I will definitely be referring back to his when I get brave enough to do my first one! 🙂 Thanks for sharing Stacie! I tried to do one earlier in the year. I don’t think it was very successful. I’m skeptical about doing another one, but your tips and inspired me to try! 🙂 Thanks! Your tips couldn’t have come at a better time!! I am co-hosting two hops right now, and thinking about doing another around the holidays! Love these tips Stacie! 🙂 Your giveaway hops have always been one of my favorites, very well run and well organized. 5 co-hosts – Myself plus 4 more, who I already have in mind. I’m starting an email newsletter next month, so that will give me a great new way to help promote sign ups, in addition to my weekly Bloggertunities list. I’d like to do my hop during the fall – Probably October. I’d like to do a fun fall themed event… I’ll have to think of a clever name 🙂 I’m thinking that the prizes will all be fall festive type prizes, $20+. My cohosts and I will put together a big grand prize. But I’d like to keep it small – 20 or less blogs, and only people I’ve worked with in the past… This is juts to make sure that since it’ll be my first event, that I don’t run into to too many problems with people not following through. This is wonderfully useful, thank you! I want to try and organize a successful hop on my blog sometime soon but have no idea how to increase my current traffic so that people can see that I have ablog worth participating in a hop with! Any ideas on how to get over this? I think you just need to jump in there and do it. Promote your hop on FB and in the FB groups and on the sites listed in the posts. If you do a Blogger Incentive prize, bloggers will promote as well to win the prize. Thanks for this post. I’m hoping to put my first giveaway hop together in the next couple of months. I have a few ideas for a blog hop that I’m wanting to do and came across this post doing research. Thank you so much for writing such great tips! I will definitely be bookmarking this and coming back to it as I find sponsors and other bloggers willing to co-host. You’ve made my life so much easier!